In 2017, the IMF said Djibouti’s public debt, the lion’s share of it owed to China, rose from 50% to 85% of GDP. Addis Abeba, April 08/2019 – A statement released by Ethiopia’s Security Council says federal and regional security institutions were ordered to take all “necessary, legal and proportional measures” against instigators of a weekend violence in various places in Oromo community administrative zone, in North Shewa zone, Amhara regional state that claimed lives and caused property damages. So far there has not been a clear answer as to why the violence flared up first on Friday last week and continued over the weekend, nor is there independent reports on the number of causalities. While local authorities are issuing conflicting reports, Ambachew Mekonnen, (PhD), president of the Amhara regional state, told state media yesterday that the regional government was investigating the real cause and the report will be released to the public in due course. He also added that the regional government was working with local authorities and community members to restore order. 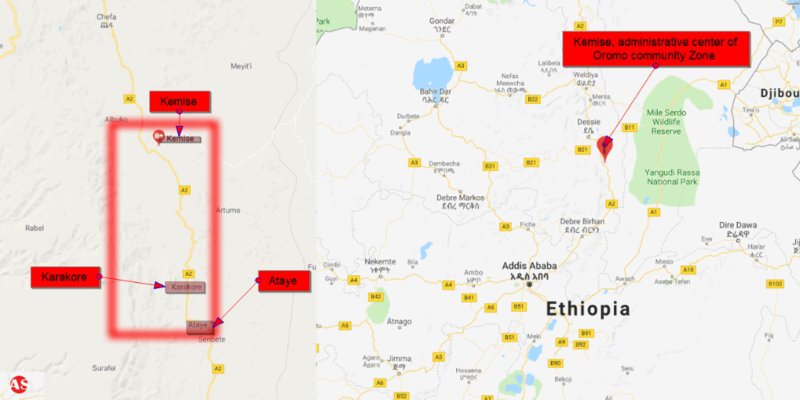 The areas affected by the violence include localities leading to Kemise, the administrative center of the Oromo community administrative zone, such as Ataye and Karakore towns and Efrata and Gedem Wereda. While local authorities in Ataye blamed armed militiamen “affiliated with Oromo Liberation front (OLF)” for the violence, authorities in Kemise blame the regional state’s special forces as the initial cause of the violence. In the last hour, Colonel Tesfaye Ayalew of the ministry of defense told FanaBC that members of the national defense forces have already entered the affected areas based on request from the regional government. Colonel Ayalew said that calm has returned in most places and efforts were ongoing to open roads that were blocked; however, active shootings were still ongoing in off-road & remote areas.